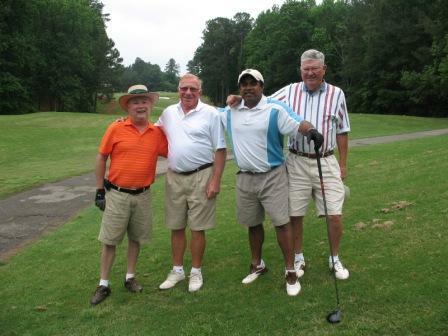 The Gaggle is a men’s member group open to members and accompanied guests of Wildwood Green. The Gaggle plays Wednesdays and Fridays all year around usually starting with 10:00 AM tee times. Cost to play in the Gaggle is $10 per golfer plus any applicable green/cart fees. Different games are set up by the Golf Shop using their handicap. Such games include 2 net of 3, 1 gross and 1 net and “points”. You may enter up until 2:00 PM the day prior to play. 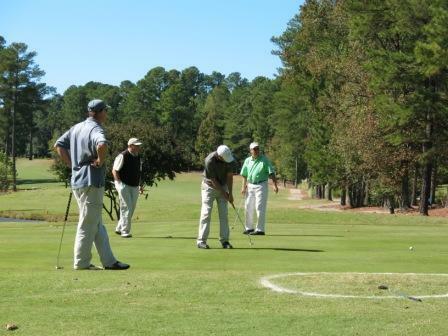 Please call the Golf Shop at (919) 846-8376 extension 2 to sign up each week. 20 or more players: Prizes awarded for the front nine, back nine and overall. Balls coming to rest in wood chips or pine straw are deemed in play and shall not be moved. Putts cannot be conceded. All putts must be holed out and all putts count. In the event of questionable ruling, a second ball should be played on that hole and a decision will be made after the round. The handicap system is the key to having a fair and equitable competition. It is essential that all players maintain their handicaps by timely and accurate posting of their scores. With the end of spring and beginning of summer Wildwood Green will bring you the Men’s Golf Association League. The MGA will swing into action starting in June and will run thru August. Golfers will meet each Monday evening with tee times starting around 5:00 PM and play nine holes of match play. Sign up for the MGA with General Manager, Jeff Engelhaupt now! The MGA is open to men members and will be divided into flights according to number of participants and each participant’s handicap. Participants must have an established handicap. 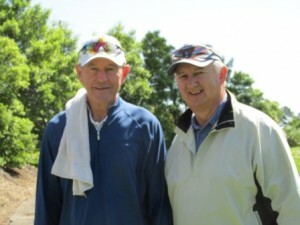 There will be ten points available per nine hole match, one point per hole and one point for winning the overall match. Special request tee times can be made with the Golf Shop. The WildOats is open to men members who are 50 years and older. The WildOats meet on Mondays, Tuesdays and Thursdays throughout the year. The starting time fluctuates with the seasons. Mondays are played as tee times and a shotgun start is held on Tuesdays and Thursdays. Sign up for the WildOats in Bogey’s Grill on the events board! Download the WildOats Information Sheet Here!